Mozilla has released security updates for Firefox 2.0 and Firefox 1.5. Updates for the latter will only be available until 24 April, after which Mozilla will stop supporting the earlier version. Current users of Firefox 2.0 and Firefox 1.5 will automatically receive an update notification and will need to restart their browser before the changes take effect. Changes in the Firefox 2.0.0.3 update patch include a flaw reported in the FTP protocol used by Firefox. Security firms have warned that the vulnerability could be used to run a port-scan of computers inside the firewall from a malicious web page hosted on a specially-coded FTP server. 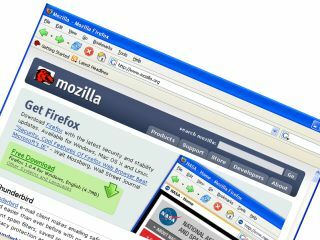 Mozilla said the security flaw itself was not dangerous, but information relating to internal networks "may be revealed" and become useful to a hacker if other security flaws are also present on the network. Also included in the latest update are fixes to improve website compatibility. Security firm Symantec today reported that Firefox, Mozilla's open source web browser, was more secure than Microsoft's Internet Explorer . Last year, Firefox suffered 26 per cent less security bugs than IE, it said.